Engraved Wooden Music Box. Toys,Kids & Baby. Try on wood or glass or different surfaces for a new sound. 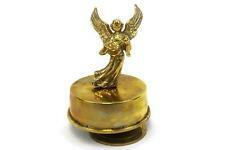 This music box makes a great gift for any music lover. Pet Accessory. 1 Music box. Health,Beauty & Care. Engraved Wooden Music Box. Try on wood or glass or different surfaces for a new sound. This music box makes a great gift for any music lover. 1 Music box. Hand crank Music Box, just turn the handle and it will play this well-known tune. Tone Number: 18 Tones. Try on wood or glass or different surfaces for a new sound. This music box makes a great gift for any music lover. Color: Clear. Quantity1 Set. Due to the light and screen difference, the item's color may be slightly different from the pictures. Engraved Wooden Music Box. Original hand crank Music Box,Make Music by Hand Engraved. Try on wood or glass or different surfaces for a new sound. This music box makes a great gift for any music lover. Engraved Wooden Music Box. 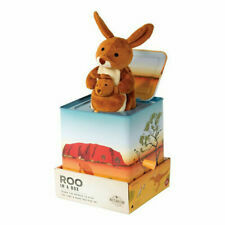 This music box makes a great gift for any music lover. Toy Accessories. Try on wood or glass or different surfaces for a new sound. Pet Supplies. Sport Accessories. General Interest. Engraved Wooden Music Box. This music box makes a great gift for any music lover. Original hand crank Music Box, just turn the handle and it will play this well-known tune. Try on wood or glass or different surfaces for a new sound. We'd like to settle any problem in a friendly manner. The music it plays is Castle in the Sky (piano version). Material : Wood. Engraved Wooden Music Box. Original hand crank Music Box, just turn the handle and it will play this well-known tune. This music box makes a great gift for any music lover. Try on wood or glass or different surfaces for a new sound. 1 x HAND CRANK Music Box. you have any problems, we are willing to help you. Weights: 200 GRAM. 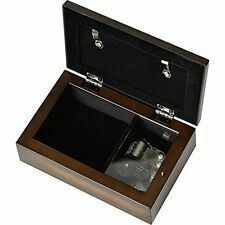 Love music boxes but never seem to be able to find the song you really want?. - Write your musical note on the paper strip, and use the puncher to punch the holes. - Material: Paper. - Note: 15. Peach Heart-shaped Music Jewelry Box Creative Music Box with Beauty Little Girl. 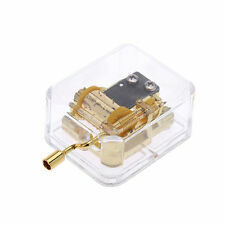 Plastic little girl Music Box × 1. Material: Plastic Electronic components. Weight: about 282g. To Germany, France, Norway. 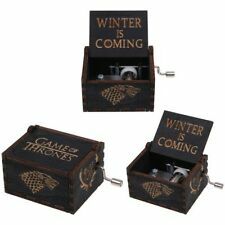 It's a music box with clockwork and it doesn't need the battery. Wedding Ceremony Supplies. 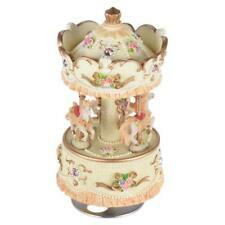 1 Carousel Music Box. Wedding Decoration. - Material: Wooden Body Plastic Horse; Music: It's a small world. Style: ballet revolving girl. Cute,lovely and elegant pink tone, make your room full of romantic. Color: pink. 1 Box Note There are NO EXCEPTIONS! U2 RINGS, Achtung Baby rings, The Edge rings, Bono rings, U2 memorabilia! Vtg Sad Sitting Clown Porcelain Music Box Figurine "Send In The Clowns"
It spins around as it plays the song "Send in The Clowns". The product is the unique piano shape and it can be assembled in combination. Piano shape music box 1. You need to shake the handle to play music. 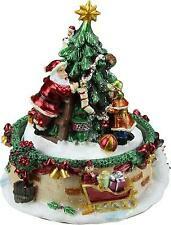 Great gift: This exquisite music box can be used as a gift for your friends, spouse, sweetheart, relatives or yourself. Vintage TOYO Music Box Musical Movement "Here Comes the Bride"
These have all been tested and work fine. No Key included! These are all in good unused condition. RnE Forever Simple Things. Hand crank Music Box, just turn the handle and it will play this well-known tune. 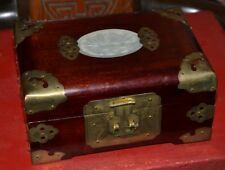 Wooden Hand Engraved Music Box Fun Interesting Toys Kids Gifts. Try on wood or glass or different surfaces for a new sound. WOODEN REPLICA POWELL AND HYDE SAN FRANCISCO STREET CAR MUSIC BOX 7 3/4"
7 3/4"LONG. MUSIC BOX PLAYS I LEFT MY HEART IN SAN FRANCISCO AND WORKS VERY WELL. VERY GOOD CONDITION.